Welcome to my blog! My name is Syaza Raihanah. I was born on 17th October 1995. So basically, I'm 23 years old girl who lived in Kuala Lumpur. I'm a Diploma in Business Administrative holder from one of a private college in Kuala Lumpur on last November 2015 and currently a full-time blogger. I started blogging in 2011 introduced by one of my friends. But during that time, I just share almost everything that happened in my life on my blog. Because of that, I deleted almost half of my entries and I want to start again from the start. Since this year it's already 5 years of me as a blogger I think that I want to be more serious by sharing some knowledge, my experiences, and everything beneficial for my readers. There will be the time I write in English but there might be in Malay too. English is not my forte so forgive me if I did grammar or mistakes here and there. Basically, my blog niche is more to personal, lifestyle and beauty blogger. On 3rd November 2018 marked the day of www.syazaraihanah.com. 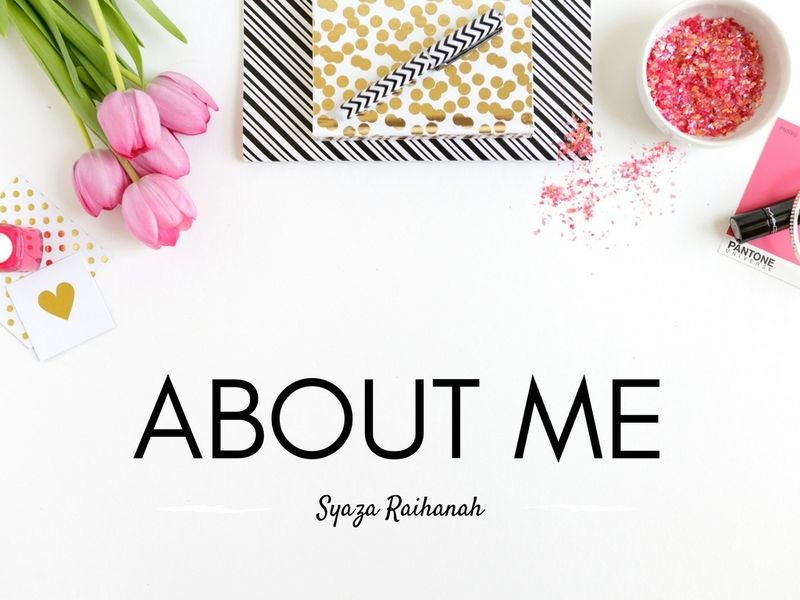 I am no longer using the previous link and will continue using www.syazaraihanah.com in the future. Stock Photos: unsplash.com, www.pexels.com, isorepublic.com, and few more. For any advertisement, sponsorship, and product review, contact me by email at syazaraihanah@ymail.com or leave your message here.